Still chugging along and now almost half a decade old, AMD’s high-end FX processors are still very much in play with leading motherboard makers Gigabyte, MSI and ASRock actually offering updated 900-series chipset platforms that include USB 3.1 Type-C and M.2 connectors via third-party solutions. 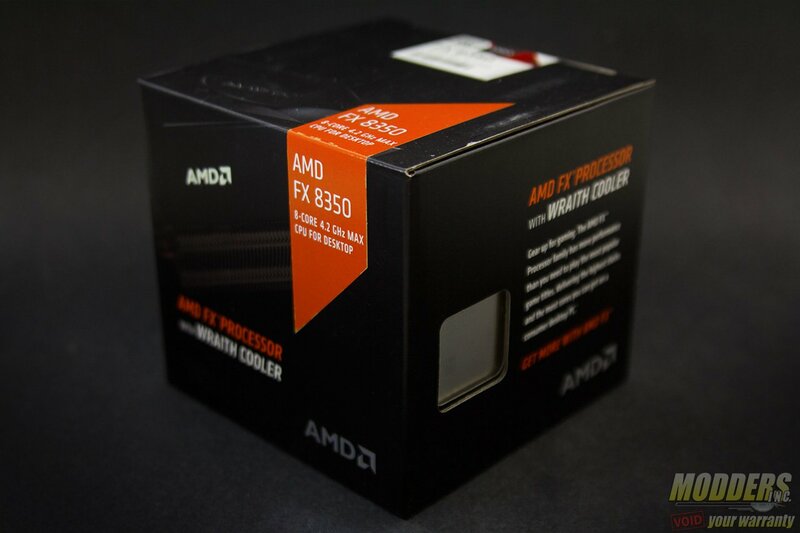 With the recent announcement of their new AMD Wraith cooler being bundled with the FX 8370, AMD has expanded that support further by now offering FX 8350 and FX 6350 processors bundled with the upgraded heatsink. Compared to the old bundled heatsink, the AMD Wraith is substantially more powerful and is also much more silent in PWM mode. 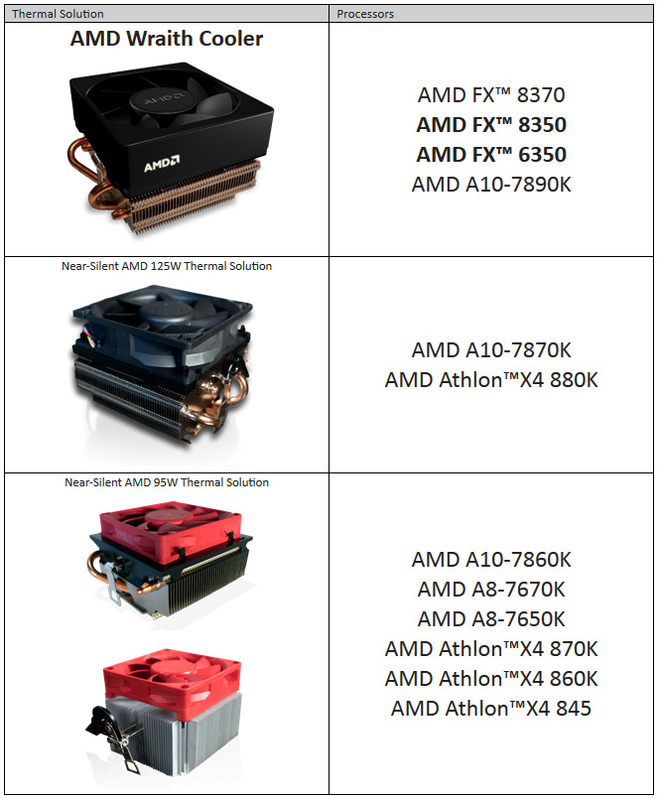 This offering further solidifies AMD’s commitment to providing value as a more powerful bundled heatsink ultimately saves users who want to overclock money which they do not need to spend on an after-market solution. The FX 8350 with Wraith has an MSRP of $179.99 while the AMD FX 6350 will be available for only $129.99. 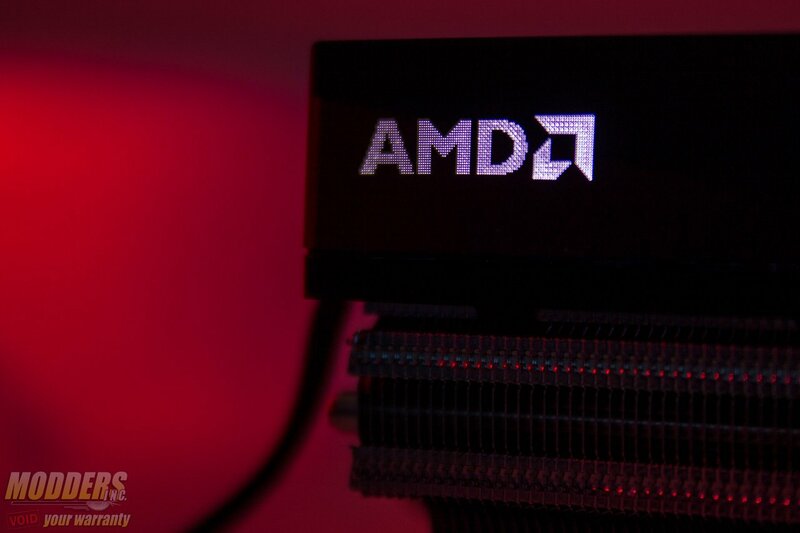 This extends AMD’s total lineup to 12 CPUs that are bundled with an upgraded cooling solution. New AMD Thermal Solutions – Designed for the consumer who cares about how their desktop PC runs, sounds, and looks, AMD now offers new thermal solutions that generate less than one-tenth the noise of their predecessors – running at a near-silent 39 decibels, about as quiet as a library. 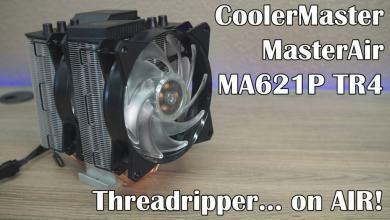 The new AMD Wraith Cooler combines near-silent operation with unique styling via a sleek fan shroud and LED illumination. Providing superb cooling, the new design delivers 34 percent more airflow and 24 percent more surface area for heat dissipation4 than its predecessor.